This is a project in an early stage that need funding to be finalized. Boston & Stewill is proposing three versions: black, white and a limited edition cream dial, with the crown and a push button at “120 o’clock”. The numbers on the dial are inspired by vintage speedometers and instead of the standard 1 to 12, they’re proposing a 10 to 120 dial. This chronograph will have a day date and small second functions and it will be probably powered by Valjoux 7750 or Sellita SW500. They’re proposing either black or a brown perforated leather strap with red underside and butterfly clasp. At the time of this article is written, they are still far from reaching their £4,000 goal, but there are still 42 days left to go. We find it quite interesting the £5 perk as it will enter you to a draw to win a prototype or discount vouchers. 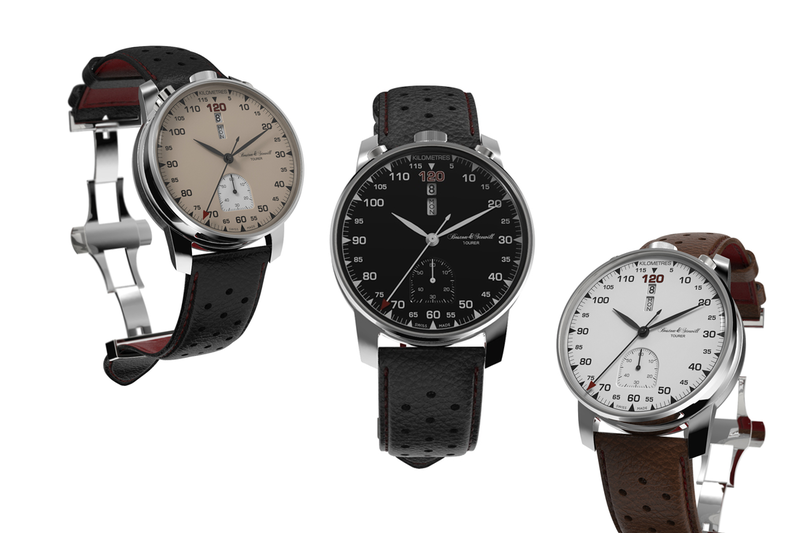 To find out more about this project and other perks, head over to http://www.indiegogo.com/projects/the-boston-stewill-tourer-watch.